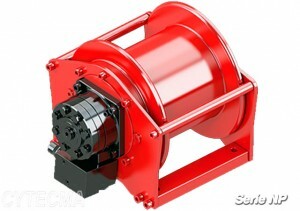 Hydraulic winches to be installed in cranes. NP-P oil-hydraulic winches with planetary transmission, hydro-piloted brake in descent by oil-coated discs, with direct pull to elevation in first layer, anti-rotating steel cable. The lifting speed of the hook is adjustable. 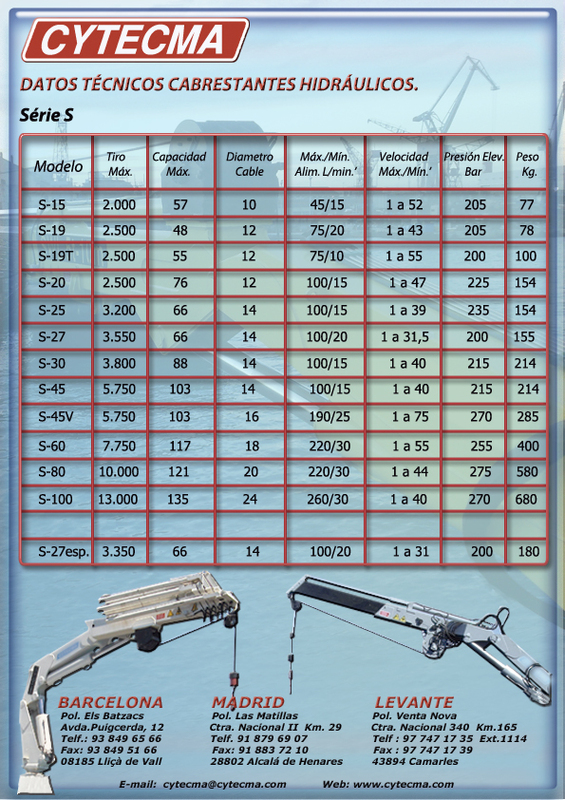 Hydraulic or electric cranes that have a winch are a very useful tool in the field of logistics and loading and unloading operations, since the work is carried out with greater agility. 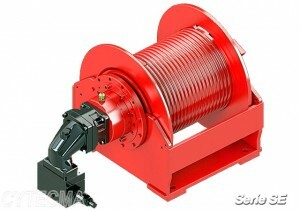 The winch can be installed on marine or land cranes, on trucks or pedestals. The elevation is with anti-clockwise rotation of the drum, or also contrary if it’s desired. 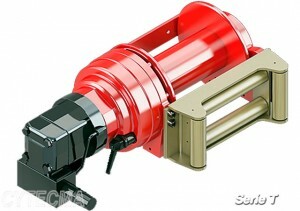 It is classified according to UNI ISO Standard 4301/1. Contact us for more information. Oil-hydraulic S-SE winch of planetary transmission, with hydro-piloted brake in descent by disks bathed in oil, direct shot to elevation in first layer. 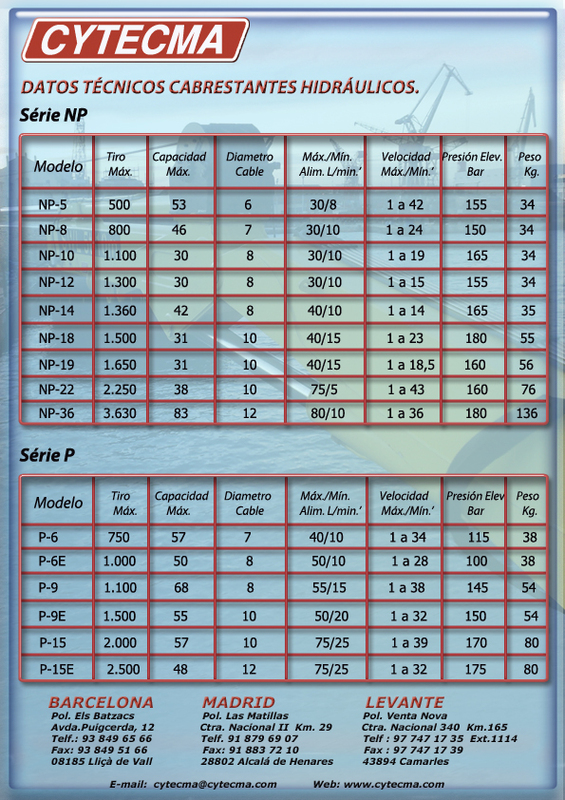 The capacity of meters will vary according to the model. Cable in anti-rotating steel. The lifting speed of the hook is adjustable. The particularity of the Hidraulic Dragging Winches is the design of modular independent blocks (hydraulic motor, negative disc brake and planetary reduction step). This concept guarantees a high reliability and simplicity of use that meets the demands of the end user. It also facilitates the installation and maintenance of it.